Because a lot of people tend to put the matter of estate planning on the back burner, they oftentimes fail to do the appropriate research. As a result, assumptions are made, and they can yield less than ideal consequences. 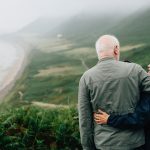 Most people have heard of the existence of trusts, and everyone has heard of the estate planning device called a last will. 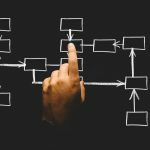 There is a popular misconception about these estate planning tools. Many people assume that last wills facilitate fast and efficient asset transfers. To these individuals, trusts sound much more complicated. If you state your final wishes regarding the transfer of your assets in a last will, you name an executor. This is the person who handles the estate administration tasks after your passing. You may envision the executor immediately distributing assets to the heirs that are named in the last will. But things do not work this way. The first order of business for the executor is to admit the will to probate. This is the legal process of estate administration. 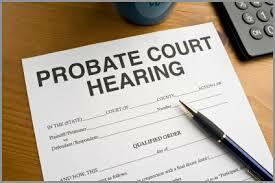 During probate, there is a proving of the will. The probate court examines the will to determine its validity. If anyone wanted to challenge the will, an argument could be presented during the probate process. Probate is not going to run its course in a matter of days or weeks. In most jurisdictions, if family members see eye to eye and liquidation of property can be done in a timely manner, the process of probate should be completed in a little bit less than a year. The heirs to the estate cannot receive their inheritances until after the estate has been probated and closed by the court, so this time lag can create problems. In addition to the time factor, there are also some rather hefty expenses that can pile up during the probate process. Third, probate records are available to the general public. As a result, anyone who has an interest can find out how you decided to distribute your assets. The simple loss of privacy can be disconcerting, but this readily available information could lead to acrimony among interested parties. If you would like to avoid the probate process, you have options. The best course of action will vary depending on the circumstances. Revocable living trusts are very commonly utilized by people of ordinary means. With a revocable living trust, the trustee can distribute assets to the beneficiaries after your passing outside of the probate process. To learn more about probate, download our special report. This informative, in-depth report is being offered free of charge, and you can access your copy through this page: Ashland KY Probate Report.